﻿﻿ The Company Profile of King Fortune Electrical Co., Ltd.
King Fortune Electrical Co., Ltd. manufactures and exports stand fans, desk fans, box fans, hand-held massagers, heaters, motors and all related spare parts. And our products did passed through the en 60335-1 and en 60335-2-80 tested and got the IEC certificate, IRAM (s-marks) GS/TUV, EMC, SASO approved, ETL, CE. UL, CSA approved & BS standard for different countries as well. So we would like to invite you to taking the time to review our company website. It will be a great honor for us at your disposal all the times. Company : King Fortune Electrical Co., Ltd. 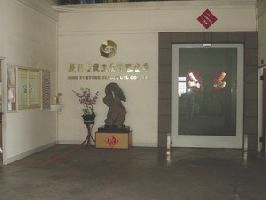 Address : 35, Lane 531, Sangang Road, Longjing District,Taichung, 43444, Taiwan.